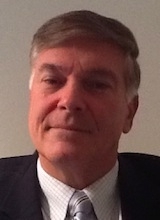 Mr. James C. DeSimone is an Operations Expert of Integral Board Group, LLC and a member of our Advisory Board. He is also the Chief Operating Officer at the New York State Department of Transportation’s Staten Island Ferry division. Prior to joining Integral Board Group and NYCDOT, Mr. DeSimone held senior leadership positions in multiple transportation sectors of the maritime industry and was Commandant of Cadets as well as Master of the Training Ship at the nation's oldest maritime institution - the State University of New York Maritime College at Fort Schuyler. Mr. DeSimone holds a Masters of Business Administration in Management and International Business from Manhattan College as well as a Bachelor of Science in Marine Transportation from the State University of New York Maritime College. He is a United States Coast Guard Licensed Officer in the United States Merchant Marine and earned the title of ‘Master of Steam or Motor Vessels of Any Gross Tons upon Oceans’ with first-class pilot endorsements. He also holds a Professional Certificate in Chartering from the Association of Shipbrokers and Agents in New York. Mr. DeSimone is a member of the American Bureau of Shipping, Propeller Club of the Port of New York and the Connecticut Maritime Association. He also serves on the Executive Board of the Area Maritime Security Committee, Advisory Board of the Urban Assembly New York Harbor School and Standing Committee of the Marine Society of the City of New York.